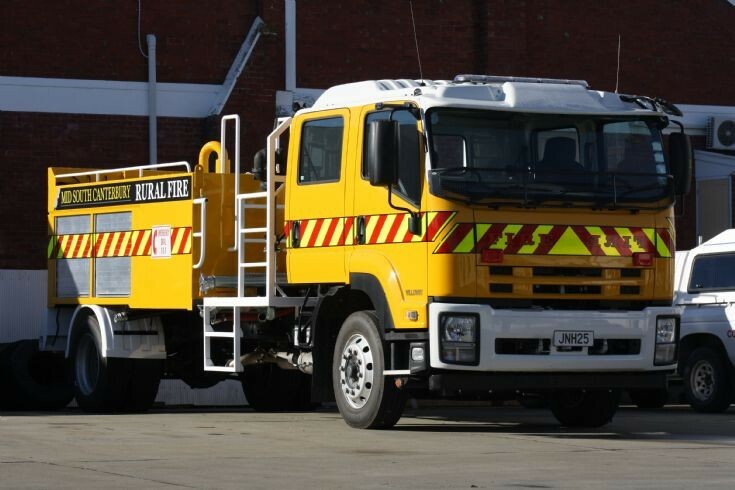 This 2016 Isuzu FTR750 is shown at the completion of bodybuilding to complete it into a rural fire appliance for the Mid South Canterbury Rural Fire Authority. On completion it was allocated to the Willowby rural fire force. This photo was taken in July 2016.